Have announced that they are to commence a new 5 x weekly service to Istanbul from 1st July. Unfortunately, they have announced that they will be suspending their Manchester-Mumbai service as of 23rd March. Sadly, the airline entered into administration on Saturday 16th February 2019.The company said it had been badly affected by rises in fuel and carbon costs and uncertainty over Brexit. The East Midlands-based airline, had 376 staff and operated 17 aircraft flying to 25 European cities. Historically,the airline has served Manchester in many guises and with many aircraft types over the years. The one time company owner, Sir Michael Bishop, was a keen aviation enthusiast from Manchester and like many of us could frequently be found “spotting” at the airport having cycled from his family home in Bowden. Prior to launching Trans Atlantic services at the Airport with Boeing 707 aircraft Sir Michael gave a talk to TAS about the airline and his life long passion in aviation. In recent years the airline found itself being sold off from the original BMA Group. A re formed BMI operated under several different owners and numerous rebranding attempts. Sadly, it appeared to have difficulty in competing with the emerging low cost carriers even though it had tried its hand in the market with BMI Baby.However it did hold a considerable number of valuable slots at Heathrow. 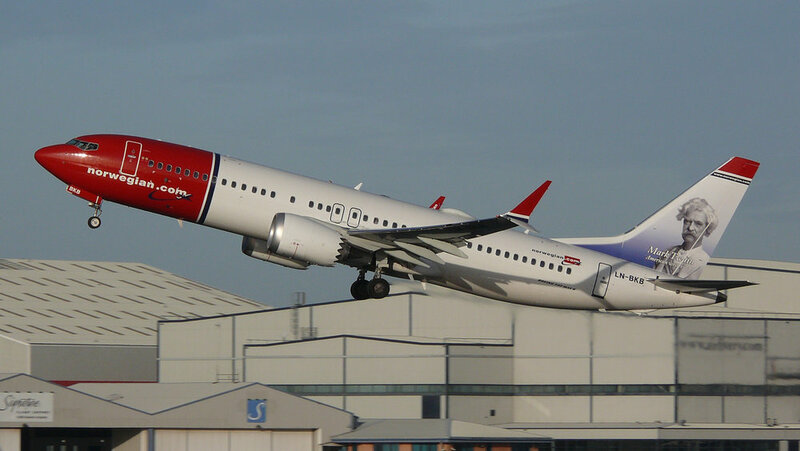 In 2018 the airline was again under new ownership and was primarily focused on serving the UK domestic market and a number of short haul European operations.Whilst it had very little presence at Manchester,it was about to launch a new schedule service to London Derry Northern Ireland. Unfortunately,the same cannot be said about the Manchester Airport Group airport of East Midlands where the airline had a much larger presence. Affected passengers have been told to contact their travel agents or insurance and credit card companies. A Flybmi spokesman said: "It is with a heavy heart that we have made this unavoidable announcement. "The airline has faced several difficulties, including recent spikes in fuel and carbon costs, the latter arising from the EU's recent decision to exclude UK airlines from full participation in the Emissions Trading Scheme. Belfast - 3 extra flights a week on Wednesday, Friday and Saturday and 1 extra flight a week from to Budapest on Wednesday. Has announced a new route between Manchester and Tel Aviv for summer 2019. Flights between Manchester airport and Ben Gurion airport, which serves the Israeli city, will run three times a week from May 26 2019.The new B737-800 service was announced by Michael Strassburger, the airline’s vice president of commercial and industry affairs, at World Travel Market in London. Etihads Boeing 777’s are not going to be around for too much longer at Manchester? The sale of Flybe to “Connect Airways” was confirmed on 21st February. The Connect Airways consortium consists of Virgin Atlantic,Stobart Air and Cyrus Capital.The implications for Manchester Airport are yet to become clear.However,it would certainly appear that this option was the best for the airport. The joint venture partners now plan to create a “fully-fledged UK network carrier” under the Virgin Atlantic brand, which will provide a feeder network for Virgin Atlantic’s long-haul network. It will run alongside Stobart Air’s existing wet lease operations and aircraft leasing business. The partners said the new venture plans to “optimise Flybe's network and operations” to focus on key routes, with the aim of “continuing to enhance regional connectivity” across the UK and Ireland. Its network will be adjusted to improve connectivity with Virgin Atlantic's long-haul network, particularly at London Heathrow Airport and Manchester Airport. Have applied for slots for a daily MD11F from / to Frankfurt service commencing 1st April 2019. Arrive 1605 Depart 1835. The proposed route is part of the airlines contingency planning for Brexit. Apparently, it is concerned that the airlines trucking operation could suffer delays at UK Ports. As with everything Brexit…I guess time will tell? Is further expanding services from Aarhus, as the airline schedules Aarhus – Manchester nonstop service. From 01APR19, CityJet CRJ 900 aircraft will operate the new Manchester route 3 times a week. This route does not operate from 27JUN19 to 18AUG19. All B737 Max 8 and Max 9 aircraft are grounded. 5 x TUI B737 Max 8 are currently parked up at Manchester Airport (north of the new and as yet unopened Pier 1):- G-TUMA / B / C / D and G. G-TUMF which operated MAN-TFS on Tuesday 12th March remains parked at Tenerife South Airport (TFS).It is expected that the B737-Max 8’s will be re positioned on Friday 22nd March to the Runway 23R Passing bay (Juliet 1) for parking - further details to follow. Thomas Cook has said (7th February 2019) that it is conducting a "strategic review" of its airline as it seeks to find funds to invest more in its hotels business.The travel firm stressed the review was at an early stage, but would consider "all options" including a sale. The company's fleet of 103 jets is a mix of planes it owns and leases. The company has a major operating base at Manchester Airport with Crews,Management,Engineering,Administrative staff and maintenance facilities all located at the airport. News of a potential sale boosted the firm's shares by 13% in early trading on 7th February.